Darren Turner is an Australian pool and open water swimmer who had a great year in 1989 in which he was named the 1989 World Long Distance Swimmer of the Year by Swimming World Magazine. Turner won the 1989 5 km Yarra Super Swim in Melbourne, Australia, then won the 1989 USA national 25 km open water swimming championships in 4 hours 30 minutes, 38 seconds over Jay Wilkerson and a few minutes over 1991 world champion Chad Hundeby. 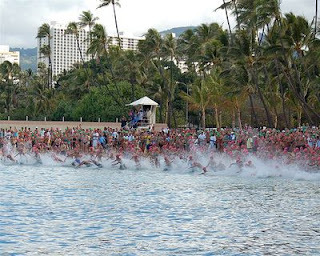 Turner won the 1989 Waikiki Roughwater Swim on Oahu in Hawaii and later followed up with another victory in the 1993 Waikiki Roughwater Swim. The Aussies had quite a year in America in 1989. Both Turner and Susie Maroney each won the 1989 USA national 25 km championships. Maroney won in 4 hours 53 minutes over fellow Aussie Shelley Taylor-Smith and American Martha Jahn.